In the October 2011 issue of Sexually Transmitted Diseases, Yu and colleagues report on an evaluation of partner services delivered in eight family planning clinics in California. 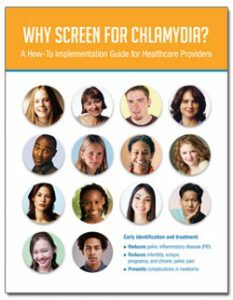 From 2005–2006, researchers interviewed females aged 16–35 years who were diagnosed with chlamydia to ascertain what partner services were received and whether or not partners received treatment. Among the 743 patients interviewed, 952 partners were identified. Over half of these partners received standard patient referral, where the patient had the primary responsibility of informing their partner and suggesting that their partner seek care to receive treatment. Despite being widely reported, partners receiving standard partner referral were only treated 43.7% of the time. Other partner services reported included patient-delivered partner therapy (PDPT), where medication is given to the index patient to directly deliver to their partner (19.3%), and concurrent patient-partner treatment (“bring your own partner (BYOP)”) (9.3%). Both of these methods were substantially more effective at treatment delivery, with nearly 80% of partners receiving treatment. For 10.8% of partners, no partner services were reported. Effectiveness of standard partner referral is sub-optimal. PDPT and BYOP should be emphasized as effective alternatives. Successful partner treatment plays a critical role in reducing repeat chlamydial infection risk and interrupting transmission. This study was conducted before large scale recommendations to consider PDPT (also called expedited partner therapy, or EPT) as a partner treatment strategy. Given the sub-optimal treatment rates achieved by standard partner referral, PDPT and BYOP should be emphasized as effective alternatives.